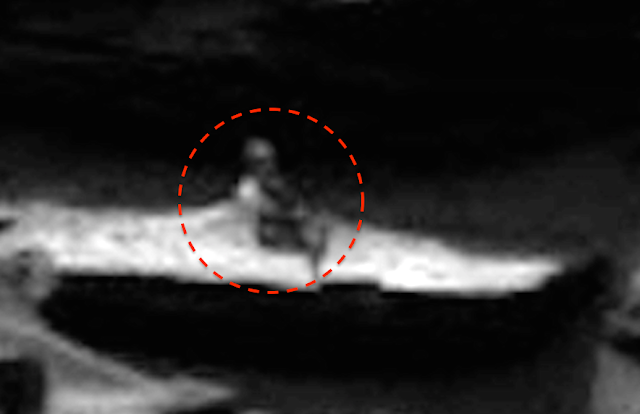 UFO SIGHTINGS DAILY: Old Man On A Chair On Mars Near NASA Rover, Sept 2015, Video, UFO Sighting News. 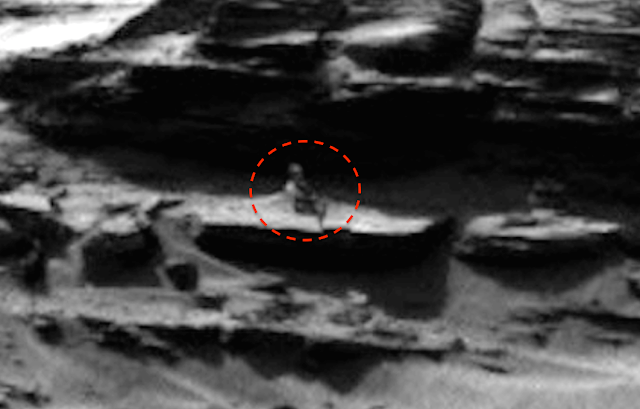 Old Man On A Chair On Mars Near NASA Rover, Sept 2015, Video, UFO Sighting News. At first, I had to laugh at this, but then I took a closer look and it was a very pleasant surprise. Streetcap1 of Youtube found what look like a old man with a beard and a whitish robe over his right shoulder. He also looks like he is sitting down, cross legged and watching the rover nearby. It looks like Streetcap1 and I are on the same page, because I found something similar I was going to post today, but I will save it for later this week. Very cool little guy. 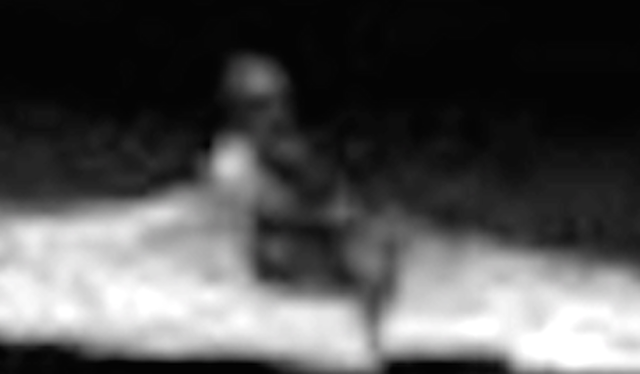 Notice the steps leading up to a platform, where what looks like a humanoid figure rests peacefully in a chair. Been there for millions of years maybe. Also above the steps is a 'built looking' construction. Maybe nothing, maybe something.